Eight years ago, Avatar took millions of people on a 3-D adventure that redefined the scope of science, fiction, and imagination. The Oscar-winning film introduced audiences to a distant world called Pandora filled with bioluminescent rainforests and inhabited by a nature-loving humanoid species called the Na’vi. 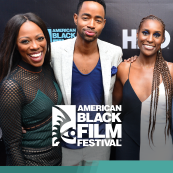 In the movie, which takes place in the year 2154, humans try to colonize Pandora—a habitable moon of a gas giant in the Alpha Centauri star system—in order to extract its resources. The Na’vi, however, fight back to protect their land and save their colony. Since its 2009 release, Avatar has earned over $ 2.7 billion, making it the highest-grossing film of all time. And, if that wasn’t impressive enough, Avatar director James Cameron and Disney have managed to bring the magic and wonder of the film to life. As a result, Avatar fans don’t have to wait for the sequel in 2020 to experience a new adventure on Pandora. 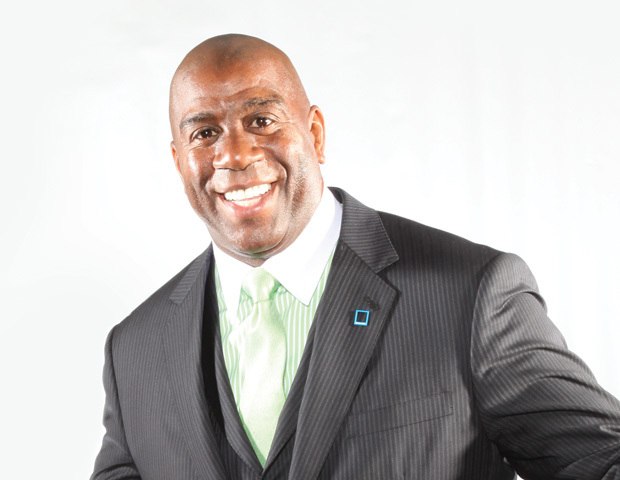 Instead, they can taste, see, and explore the mystical land for themselves. Located inside of Disney’s Animal Kingdom at the Walt Disney World Resort, Pandora visitors are taken on a surreal journey to the foreign land 40 years after the conflict between humans and the Na’vi ends. The adventure is set in Pandora’s Valley of Mo’ara, which includes the signature floating mountains as seen in the movie. 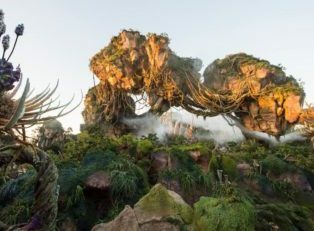 The landscape of Pandora is populated by an array of real and fictional plants that serve a unique role in helping to balance the ecosystem. For example, the puffball tree purifies the air by absorbing chlorine and sodium through its roots. It also creates salt that animals can get from the leaves. Meanwhile, the Flaska Reclinata is a tree that helps cleanse the air of toxins and provides food for animals. Although it looks pretty and touchable, the tree will spray a mist of “spores” when it is repeatedly petted. 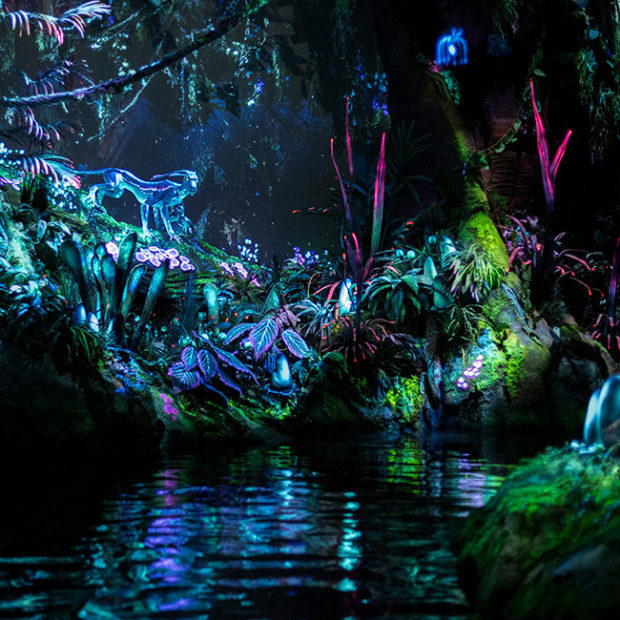 At night, Pandora literally glows in the dark. Everything from the plant life to the floating mountains to the ground is illuminated with neon lights after dusk, making it feel even more like another planet. Scattered throughout the land are actors or “cast members,” who would share an impressive knowledge about the history of Pandora. Whereas many were fluent in the native Na’vi language as well. Some cast members were in character as Alpha Centauri Expeditions’ field guides and others appeared to be humans who migrated to Pandora from Earth. 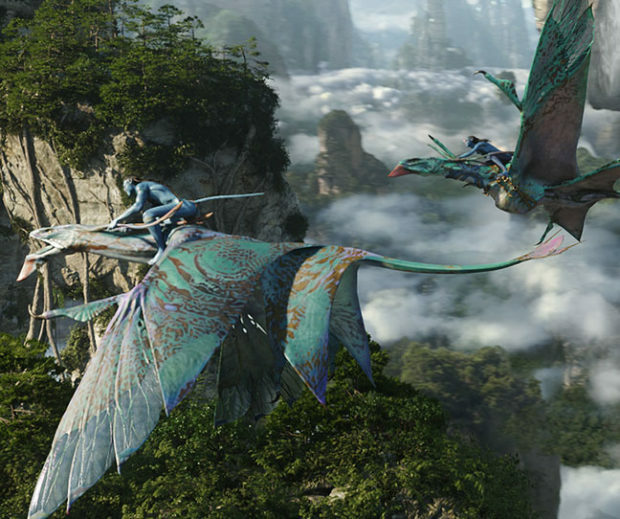 One of the main attractions on Pandora is the Flight of Passage ride, which gives visitors the opportunity to soar over the land while riding on the back of a banshee, a huge dragon-like creature. The jaw-dropping virtual ride transports riders into the movie, giving them a chance to smell the rainforest, feel the ocean mist, and feel the banshee breathing. Another highlight is the Pandoran River, which takes visitors on a journey down the sacred Kaspavan River. This breathtaking expedition allows you to travel deep inside of the rainforest and get a closer look at Na’vi culture, botany, and exotic animals. 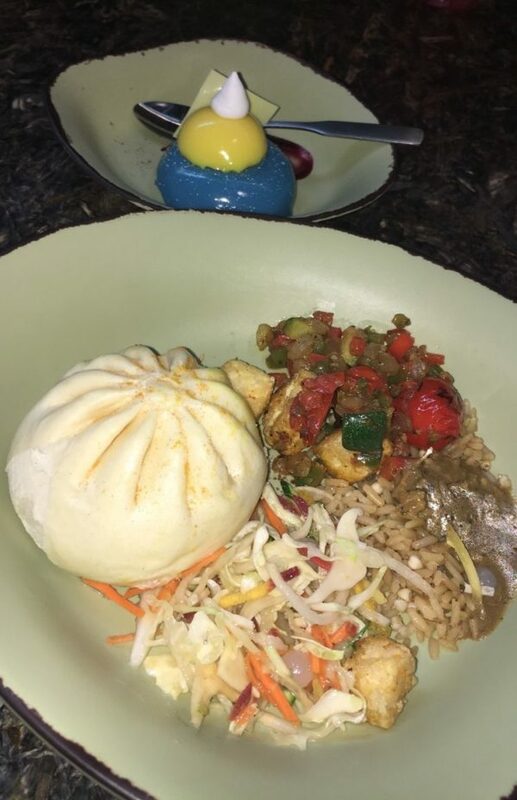 Just like the land, the cuisine on Pandora is creative, colorful, and out of this world. Many of the food selections are relatively healthy, while the drinks are made for Instagram. 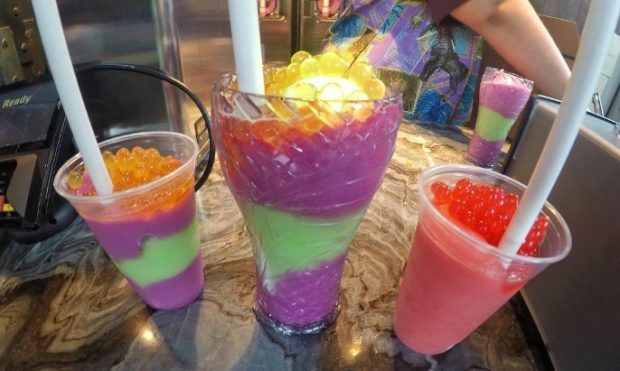 Some favorites include the bright-blue cheesecake and the “night blossom,” which is a multi-layered frozen drink topped with passion fruit boba balls. In true Disney fashion, the end of the Flight of Passage ride leads you directly into a gift shop where you can purchase a souvenir while you’re still high off emotion from the ride. Here is where visitors can buy or “adopt” their very own mini pet Banshee for $49.95, which moves through the use of an operated hand control. You’ll also have the once-in-a-lifetime opportunity to take home a customized avatar created in your own image for $74.99. Disney’s Pandora: The World of Avatar is now open to the public. Learn more at www.visitpandora.com.